ℹ A whey protein isolate (often whey isolate) is a dietary supplement and food ingredient created by separating components from milk. Whey is a by-product of the cheese-making process. Whey can be processed to yield whey protein in three forms: whey isolate, whey concentrate, or whey hydrolysate. The difference between the whey protein forms is the composition of the product, particularly the protein content. Whey isolates contain the higher percentage of pure protein and can be pure enough to be virtually lactose free, carbohydrate free, fat free, and cholesterol free. 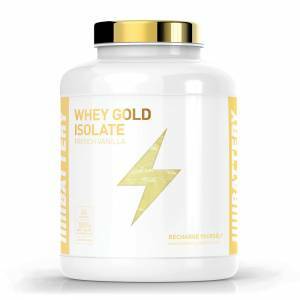 Battery Whey Gold Isolate has nothing added whatsoever, delivering nothing but high quality whey protein isolate and hydolysate to the body. Battery Nutrition didn’t want to hide anything from its customers; therefore it created Battery Whey Gold Isolate Natural. 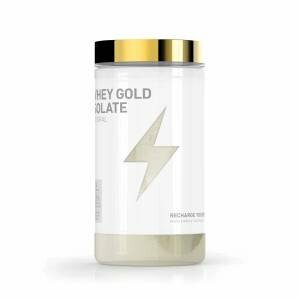 So you can be sure that with Battery Whey Gold Isolate Natural you’re purchasing the best product available on the market. BATTERY WHEY is coming and is here to stay – our flagship product provides all that your body needs after a strenuous workout session – an unmatched ratio of quality, delicious flavor, great solubility and a competitive price. The formula is based on the highest quality whey protein concentrate that Europe has to offer, and we added whey protein isolate to ensure the availability of fast-absorbing protein in your everyday shake. Added creatine, which at 3g / day increases performance in successive burst of short-term, high intensity exercise like weight training and interval cardio. BLADE PROTEIN CONCENTRATE contains a large amount of BCAA’s and L-glutamic acid. Amino acids with branched side chains BCAA (L-leucine, L-isoleucine, L-valine) and L-glutamic acid are the most valuable and desirable amino acids in the diet of intensive training athletes. 100% pure whey protein with a high biological value, which uses only the most premium macronutrient sources. 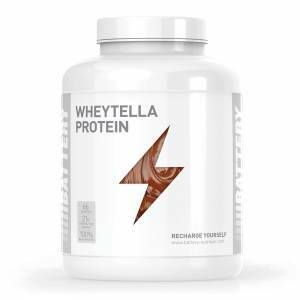 This innovative formula is made of the best sources ultrafiltered whey protein concentrate and whey protein isolate to provide a multi-stage system that is designed to effectively nourish your muscles and maintain anabolism. Each serving of BLADE WHEY contains 21 grams of protein and 4.5 grams of BCAA, which are necessary for everybody who want to support quality muscle mass growth. The KFD protein does not contain aspartame or other artificial colors and sweeteners labeled “E” in the composition. 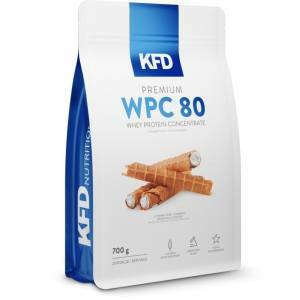 KFD Premium WPC 80 does not contain plant proteins such as soy, wheat, rice and other similar ingredients of lower quality. The KFD protein has a high BCAA content, branched chain amino acids. KFD Premium WPI 90 is a top quality whey protein isolate with a protein concentration of 90%. Excellent taste, solubility and perfect purity of the product that will delight you with its exquisite taste and 90% protein content. KFD Premium X-Whey is a high-quality protein matrix composed of 3 types of protein that are considered most beneficial to the human body. KFD Premium X-Whey is a blend of instant whey protein isolate, whey protein concentrate and hydrolysed whey protein. 100% Real Whey Isolate by Prozis Sport features premium quality whey protein isolate in a highly concentrated formula with over 90% protein content. This pure, high-biological value protein comprises a complete amino acid profile, rich in BCAAs that will help you increase your muscle mass as well as maintain that hard-gained muscle. Backed by quality certificates issued by independent testing labs, the composition of 100% Real Whey Isolate hides no secrets from you. Prozis Oatmeal + Whey 1000 g. Your oats with 31% whey protein are a healthier option, providing extra high biological value protein content to each meal. Whey protein is well known for its healthy features. With a complete amino acid profile, rich in BCAAs which are used to stimulate protein synthesis, it plays an important role in maintaining healthy muscle mass and healthy bones. Freakin’ good flavours for a tasty day! What if you could have healthy oats for breakfast or as a snack, enriched with whey protein and with the most yummy and delightful flavour? You can pick your favourite from a wide selection and taste your little piece of heaven in a knock-choc experience, let your mind drift in a field of strawberries or dive in a creamy velvet peanut butter! Tempting enough? Now, which one will you have today?